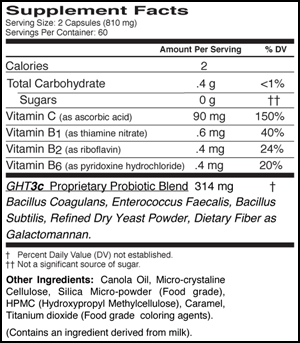 For over a decade this superior product has provided selected beneficial microflora to the intestinal tract for the purpose of replenishing needed friendly flora to promote intestinal health. Now packaged in capsules, Threelac fits conveniently into your active lifestyle more than ever. 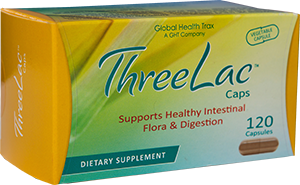 ThreeLac Caps contain the same powerful probiotic formula of three potent microflora found in ThreeLac.